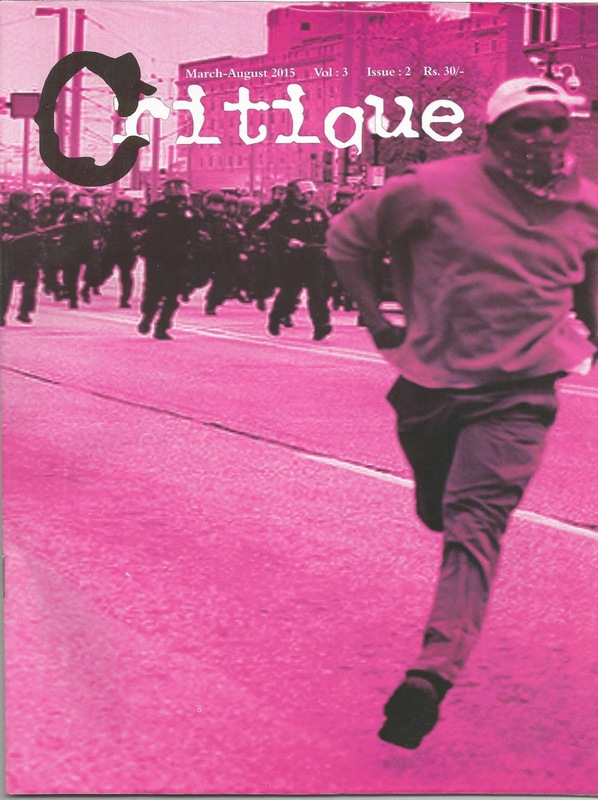 New Issue of Critique "Confronting Discrimination" is out. Critique Magazine, March-August, 2015, Volume: 3 Issue: 2. Pg. 48. Rs. 30 /-. Critique is brought out by Delhi University chapter of New Socialist Initiative. Sharing below the cover of this issue and the content list. Editorial Collective: Aashima Subberwal, Amrapali Basumatary, Bonojit Hussain, Devika Narayan, Kavya Murthy, Lokesh, Malay Firoz, Mayur Chetia, Misha Maitreyi, Naveen Chander, Pravin Kumar, Praveen Verma, Sanjay Kumar, Subhash Gatade, Sudha Vasan, Vasundhara Jairath.